An indulgent celebration of film, food and wine during Napa Valley’s most colorful time of year. Join us November 8 – 12, 2017! Are you a local who would like to check out the Napa Valley Film Festival but have a schedule that doesn’t permit you to enjoy the mid-week events? You should check out the new Weekend Pass or the Flex Pass. The new Weekend Pass ($225) is good for those who can only take advantage of the Friday – Sunday weekend. The “Flex Pass” is for locals who only want to see films. This $125 Flex Pass allows the bearer to go to five movies and Q&As, any day, anytime, at any of the nine NVFF theaters in the Valley. Holders of any pass enter into screening venues prior to those without passes who wait in a Rush Line hoping to purchase last minute $20 tickets if seats are still available. 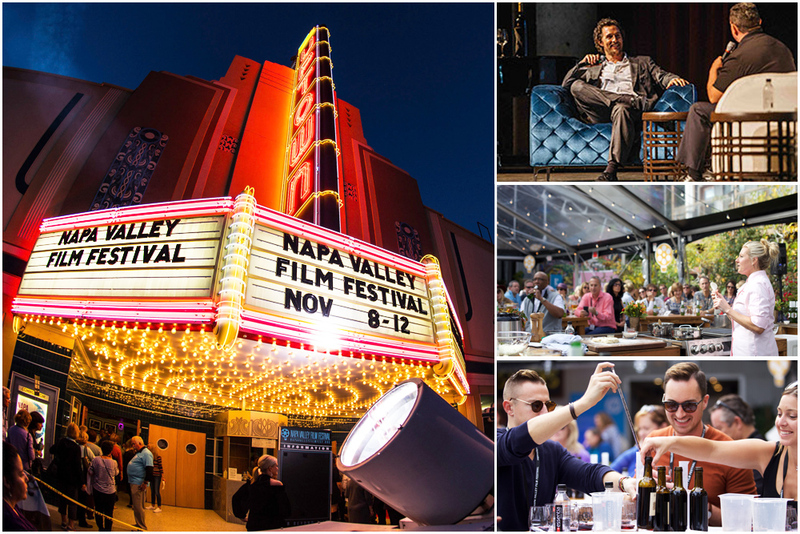 For more information or to purchase passes: visit NVFF.ORG or call 707-226-7500.